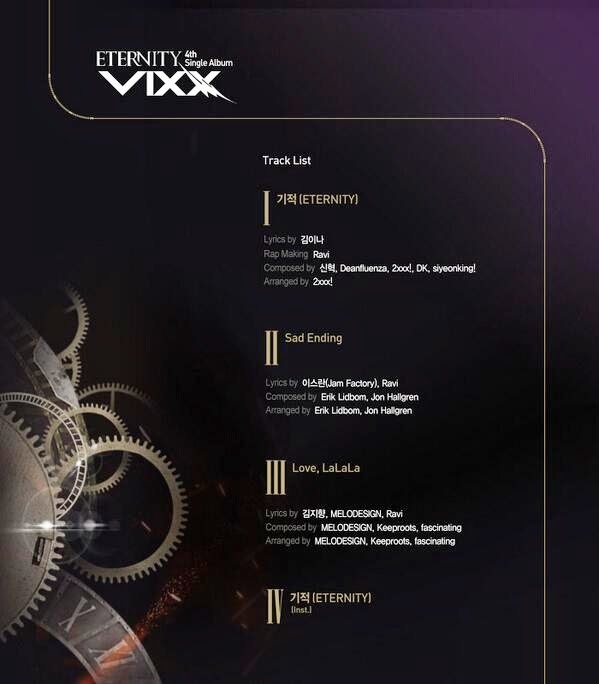 VIXX reveal the tracklist of their upcoming 4th single album 'Eternity' through their official fancafe. Composed by: Shin Hyuk, Deanfluenza, 2xxx!, DK, siyeonking! As we noticed, member Ravi have participated in their title track by giving the rap part and contributed in penning 'Sad Ending'. Their 4th single album will be released on May 27.